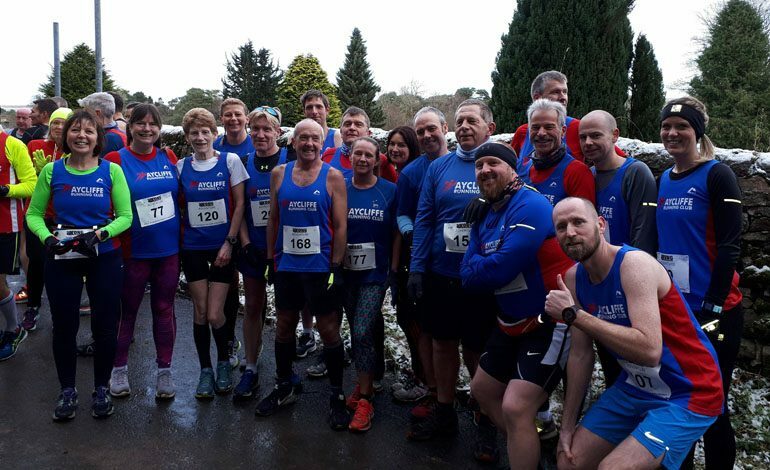 Aycliffe Running Club had their annual day out to Ravenstonedale 10K on Saturday November 25. The weather was cold with frost and a sprinkling of snow making the ground very slippery in places on the undulating, but very scenic, route. The course was challenging with a total ascent of 157.87 ft and a maximum elevation of 962.6 ft. Despite the conditions, there were some good times recorded and personal bests achieved. After the race ARC and their supporters spent the rest of the afternoon socialising in the local hotel. 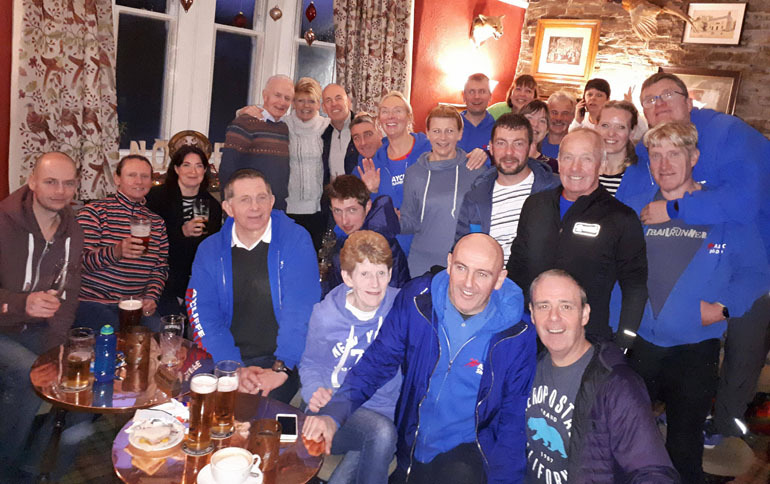 Martyn Knox 42:44, Richard Holland 43:54, Susan Cranswick 43:57 PB, Dave Blewitt 45:13, Rob Nicholson 48:30, Austin Donoghue 50:11, Trish Kay 51:24 1st F55, Nick Gilling 51:33, Andrew Lumley 51:44, Warren Raine 51:57 PB, Alan Kellett 54:36, Gary Minns 55:22, anne Kellett 55:58, Bev Phillippo 59:53, Lindsey Brown 59:59, Ian Baronowski 1:00:36, Eve Doe 1:09:02.